When Ian Curtis died on May 18, 1980, few could have expected the surviving members of Joy Division to carry on. The exponential growth of that revolutionary groups reputation and influence has shown how supernaturally good they were. 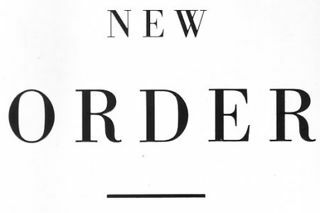 How could Bernard Sumner, Peter Hook and Stephen Morris survive the loss of their singer and lyricist and escape the shadow of this band that had meant so much to so many? We were all pretty shell-shocked about what had happened to Ian, says Bernard today. Suddenly we had to think about the future. And we didn't have any answers. 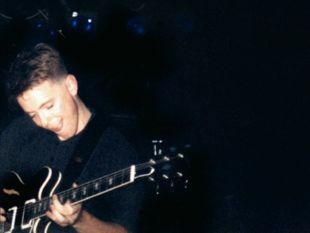 But we did know we loved being in a group and making music and playing gigs and having fun we were young guys, you know. I knew I wanted to do this. So the question was, what are we going to be? Are we Joy Division without Ian? Is that going to work? Whether it was stiff upper lip, working class bloody mindedness, or young mens sure knowledge that music could be their lives, they Drew strength from being together, and carried on. But in the short-term, there were practicalities to be taken care of. Like, who was going to sing? FAC 401 24 Hour Party People 12"